Bender, was a 6-foot 1-inch forward who played at DeWitt Clinton High School in the late 1920’s. He led Columbia University to the 1930 and 1931 championships among teams that later formed the Ivy League, winning league scoring titles in both of those seasons with averages of 9.8 points and 9.6 points. 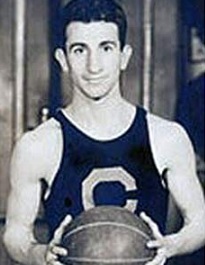 Bender was named an All-American in 1932. Bender played professional basketball on a limited basis throughout the 1930’s while practicing law. During the 1940’s, Bender was an Assistant United State Attorney for the Southern District of New York. He later was a criminal defense attorney for five decades.